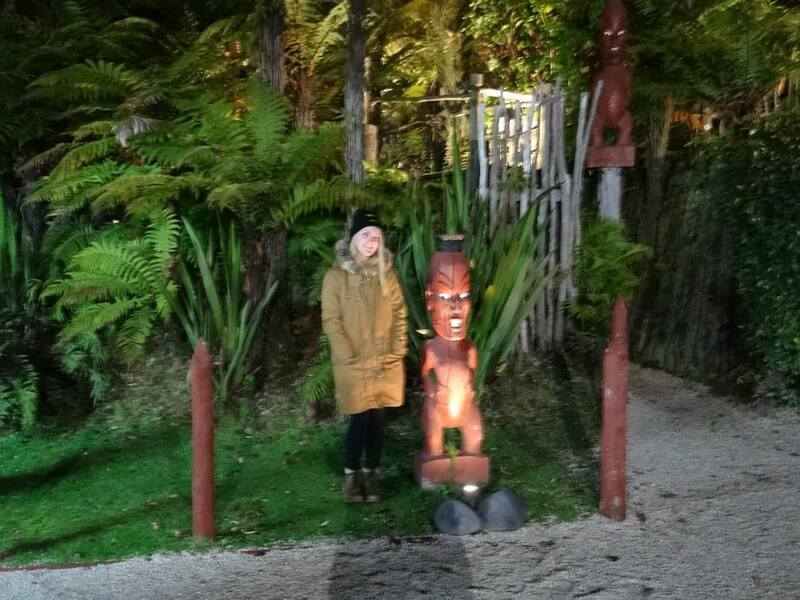 We went to the Tamaki Mauri Village Encounter and stayed there overnight recently. 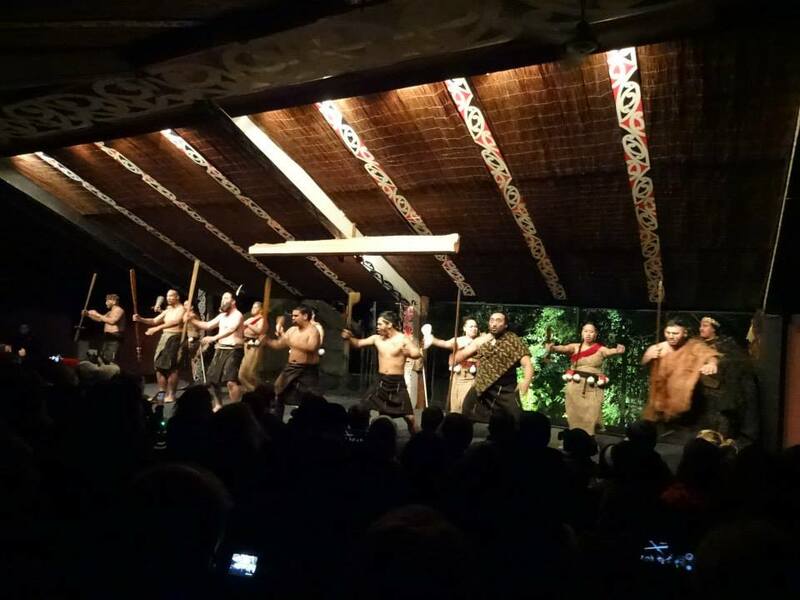 It was so much fun here, and we got to learn a lot about the Maori Culture, in New Zealand. We started off by having a very warm welcome from our hosts, who taught us how to play some children’s stick games to get us warmed up and the blood pumping (as it was -1 degrees at the time!). 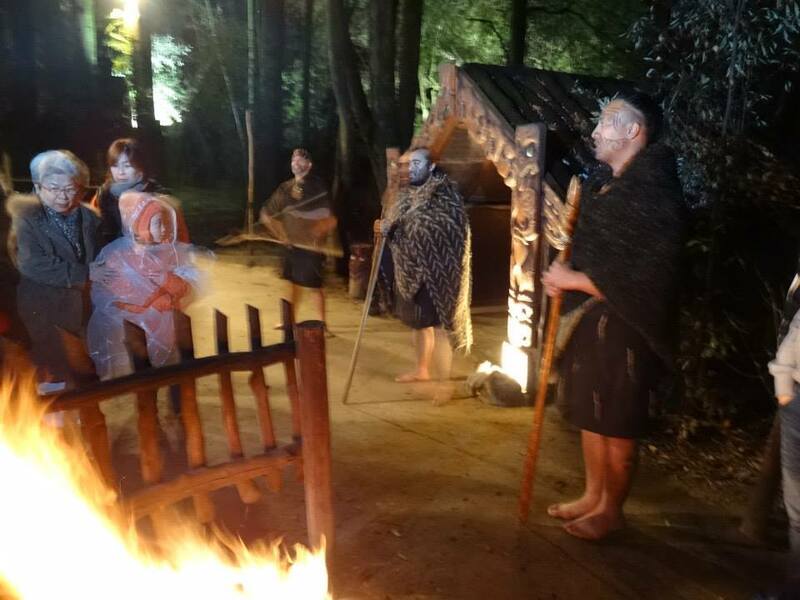 Then, we got taught a song in Maori which was so much fun to learn and ended up performing it for all of the guests that came for dinner that evening! We then got moved on to the opening ceremony, when the warriors would come out, present our ‘chief’ with a welcoming peace token and once we had accepted it and said that we come in peace, we would get lead into the village where we would learn much more! 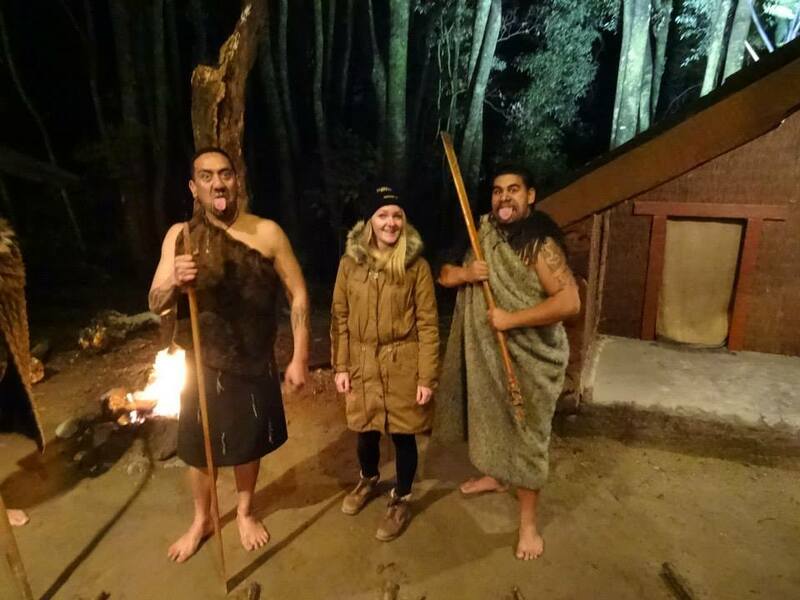 Inside the village, we learnt how the Maori Culture works, how they build their homes, clothes, weapons, tattoos and other games. We then got taken inside for an amazing performance of song and dance which was incredible! 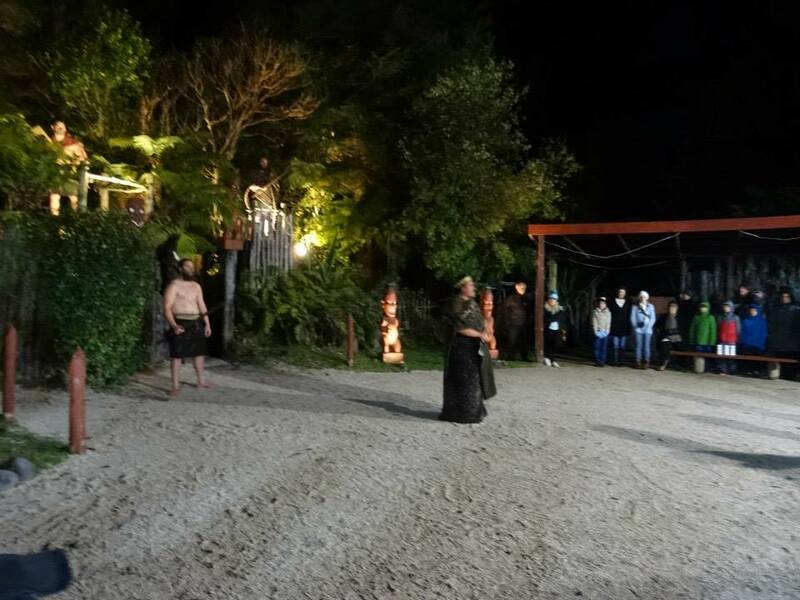 Everyone really got into it and got to learn some moves and even the guys got to learn the Haka! Before we knew it, we were all sitting down for a gigantic meal which was more like a feast and then settled in for the night! 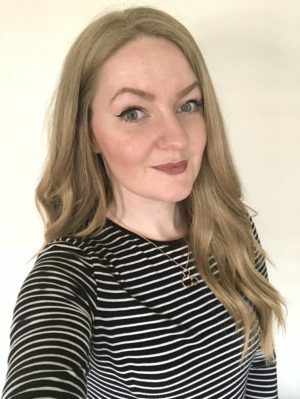 It was such a great experience, and I think that it will be one of my highlights of my New Zealand trip – a DEFINITE MUST DO if you visit New Zealand!